You can always find a team that one year or another falls in the cracks of existence. It could be a bad season or a string of bad years that makes most of America forget or even care that the team is still playing. Perhaps it is even the locale or the personality of the team and ownership that makes it less appealing to the masses. Teams that have had these problems such as the Montreal Expos, Miami Marlins and even the Seattle Mariners at times have trouble sustaining success on the field when none of the fans really care. The Minnesota Twins are one team that I feel that gets lost in the shuffle of baseball. Be it a lack of success in recent years or geographical location, the Twins just seem to get no love from the rest of the country. It’s a good thing they have a rich history to celebrate and a die-hard fan base that will enjoy today’s book. The Twins started their existence as the transplanted Washington Senators in 1961. Moving to a colder and more temperamental climate they set off to build a whole new tradition on and off the field. They have succeeded in building one of the most dedicated fan bases in the game and achieved some moderate success through the years on the field including a few World Series Championships. 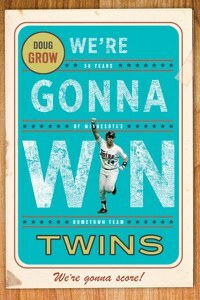 Doug Grow takes fan’s of the Minnesota Twins on an entertaining ride through their existence. Year by year, you are walked through the history of the team, along with some pop-culture snippets going on at the same time as well. Published in 2010, this book only takes you through the opening of Target Field, so currently it is a little dated. Each year starting with the shift that bore the Minnesota Twins you get player insight, on and off field team drama, as well as fun facts about the team itself. 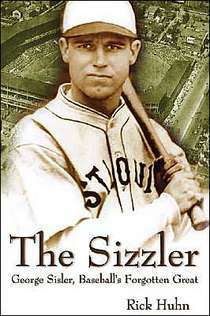 If you are not a die-hard fan of the Twins or have not spent a lot of time learning their history it is very helpful. 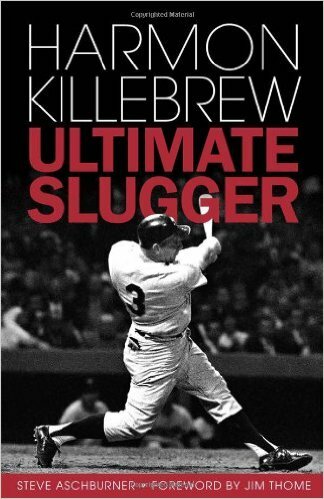 These type of books that chronicle a franchises complete history allow general baseball fans to learn specific details of a team and form a connection. When you have fans forming a connection with a team, you in the end create a fan of that team. These books then become dual purpose, by being both a history book and also the ability to generate new fans for that team. Doug Grow did a very thorough and entertaining job with this book. It was hard to put down because it was so enjoyable. 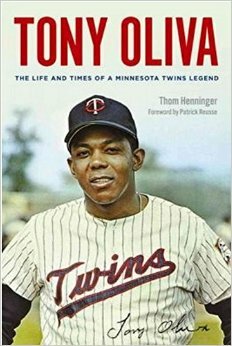 If you are a Minnesota Twins fan you probably have heard some of these stories before, but will more than likely enjoy them again. If the Twins are not that familiar to you, this book becomes a great learning experience and is entertaining at the same time. Genuine humility is a hard quality to find in baseball today. With mega money contracts and endorsement deals, being humble will cost a player some dough. In some cases overwhelming humility will lead to injustice. Sometimes that person that shows humility will just blend into the crowd, become overshadowed by the not so humble and almost be forgotten. Such is the case of our book subject we are looking at today. His own humility has led to the world sometimes overlooking the greatness he showed both on and off the field. I am going to say I walked into this book biased. I think Gil Hodges belongs in the Hall of Fame, and it is just another in a string of dumb moves the hall has made in recent years to exclude him. This book verified many of the things that I felt in regards to Hodges as both a player and a man. He did more in his 48 years on Earth than most people who are here twice as long as Gil was. Mort Zachter takes a look at the man behind the legend. What Gil Hodges accomplished as a player and manager is readily available out there in all the media outlets for us to research and review. 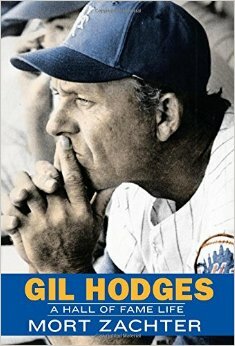 The thing that makes this better than all the other Gil Hodges biographies is the stories you get about the man himself. From humble upbringings as the son of a coal miner, you see the formative years that shaped Gil Hodges personality and made him the humble man of baseball. You see how World War II shaped Gil’s life and the sacrifices he made for his country, and of course you get his baseball career in Brooklyn. Managerial stints in both Washington and New York show how Gil affected others in the way he became a teacher and helped others succeed on the field. What I find fascinating is that Gil never really left Brooklyn. From his stint with the Dodgers until his death in 1972, Gil was just an average guy living among the people of Brooklyn. He played stick ball with the kids in the neighborhood and never felt that he should be considered a star. While this form of humility is very admirable and hard to find, it is probably what has kept him from reaching the Hall of Fame. The voters have forgotten his quiet consistency on the field and the leader he became in leading the 1969 Mets to the World Series. It is hopefully an injustice that will be corrected in the near future. If you have read other Gil Hodges biographies that are out in the marketplace, you are still going to want to pick this one up. From the others I have read in the past, this new one by Zachter is the most comprehensive and gives some new insights into Gil as both a person and a manager. I did find it odd, the one book that I feel is the most comprehensive, is the one that I read Gil’s widow Joan Hodges did not make herself available to the author for interviews. All baseball fans will enjoy the book, especially if you have an appreciation for the pre-expansion era.